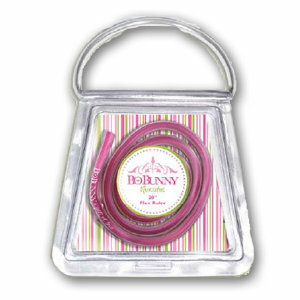 Bo Bunny's 20 inch flexible ruler is perfect for the hot new trend of wavy borders on layouts, cards and more. Use it to create swirls and circles or any shape you can bend it to. Simply trace around the end of the ruler and cut out the desired shape. Definitely a must have for every scrapbooker and paper crafter. Do you have a Flex Ruler? Share your review of the Flex Ruler.